The second quest is an unlockable feature of The Legend of Zelda which allows you to play through the game but with a few aspects changed; there is increased difficulty, many places look different, and many items and environments have been physically altered. 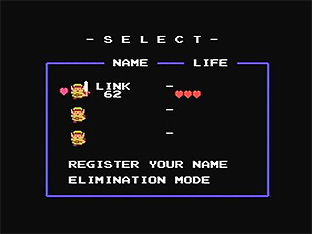 It can be unlocked by completing the game, or by cheating - create a new save and enter your name as 'ZELDA' in the name input screen. A save icon with link holding a sword will confirm that save is a second quest save. There has been some speculation and rumours surrounding a similar second quest, but this time for Ocarina of Time. While Ocarina of Time: Master Quest has been released by Nintendo, there is no such unlockable mode on the original Ocarina of Time.